Diane Kruger and Joshua Jackson at the 2013 Vanity Fair Oscar Party. Diane is wearing a Giambattista Valli dress, Christian Louboutin shoes, Neil Lane jewels, and a Jaeger-LeCoultre watch. Naomi Watts is wearing Armani Prive dress, Jimmy Choo shoes, Roger Vivier bag, and Neil Lane jewels. 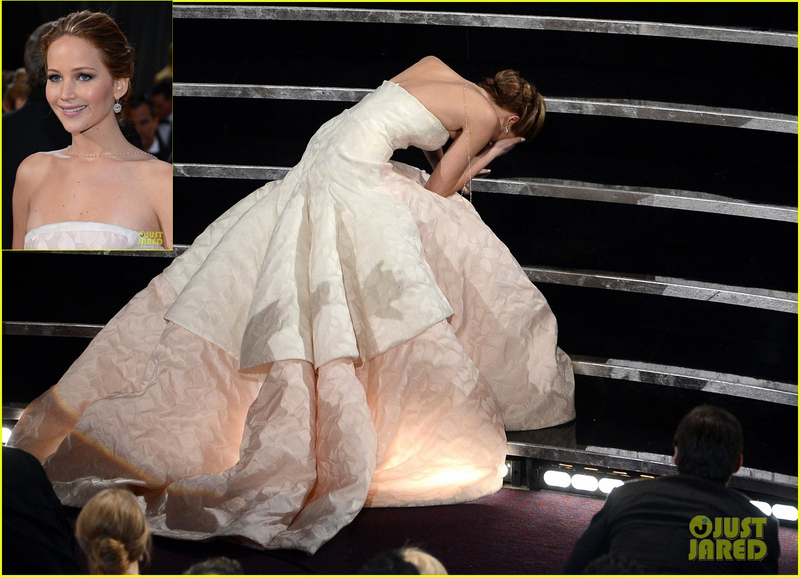 Jennifer Lawrence is wearing a Dior Haute Couture dress, Chopard jewels, a Roger Vivier clutch, and Brian Atwood shoes.When she went up to accept her prize, Jennifer slipped up the stairs. Nice article. One little correction: Marion Cotillard was not at the Oscars, but at the “Cesars” (french equivalent of the Oscars) in Paris, two days before the Oscars.